SNC-Lavalin (TSX: SNC) announced that Ian Edwards has been appointed Chief Operating Officer (COO). The appointment is effective immediately and the position will report to Neil Bruce, President and CEO. All the Company’s business sector presidents will now report to Mr. Edwards. “Ian has led our Infrastructure business since 2014. He has been responsible for the successful turnaround and transformation of the business and he is an accomplished leader with significant commercial expertise on complex contracts. Together, Ian and I will undertake a review of our operational delivery capability to ensure consistency in our approach to contract and risk management and to provide the service level to our customers for which we are well known,” said Neil Bruce, President and CEO. “The Board would like to congratulate Ian on this very important appointment. 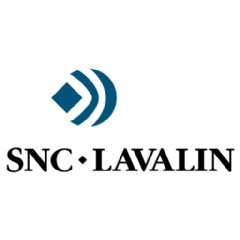 Ian’s track record since joining SNC-Lavalin has been impressive and we believe that he will bring additional operational focus to the company to further drive consistent sustainable results,” said The Honourable Kevin Lynch, Chair of the Board of Directors. Mr. Edwards has over 30 years of experience in delivering complex infrastructure projects across Europe and Asia. He joined SNC-Lavalin in 2014 after six years in senior roles with the Leighton Group. In 2012, he became the Managing Director, Leighton Asia, India and Offshore, where he led a diverse business of 20,000 employees spanning the construction, infrastructure, oil and gas and mining sectors in 14 countries. For four years prior to this, Mr. Edwards was Executive General Manager, Leighton Asia Limited, where he secured sustainable, year-on-year business growth and significantly enhanced shareholder returns. Mr. Edwards holds Higher and Ordinary Certificates in Civil Engineering from Lancashire University in the United Kingdom. He is also an incorporated Member of the Chartered Institute of Building and a Fellow of the Institution of Civil Engineers, as well as the Hong Kong Institution of Engineers.